After receiving flowers from my lovely boyfriend for my birthday, I felt a desire to keep the habit of having flowers in my room. So, the trip lead me to always lovely Columbia Rd. where I got these beautiful cauliflower looking flowers, that are now cheering me up in my room. Will show you how I displayed them soon! so pretty!!! love your coat! That coat looks amazing on you. Great color! 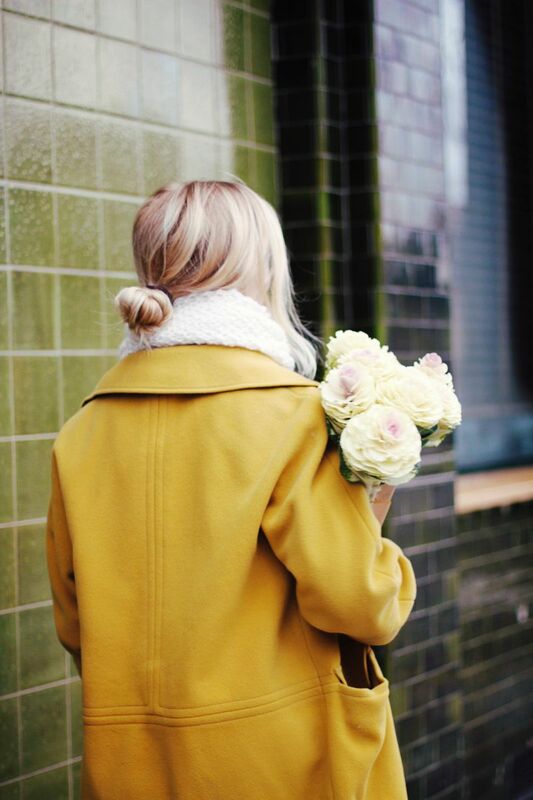 the flowers match your coat, so cute! You look lovely in this coat! Beautiful photos with the flowers! You are super pretty, love the yellow coat! You looks Gorgeous and Flowers are really beautiful.